The Mandeville is a four star luxury boutique hotel, with a location to die for! The Mandeville is located roughly five minutes from what I would call- 'Shopper's Paradise!'. A mere five minutes away is Selfridges, which is a world wide critically acclaimed department store, and the wondrous Bond Street. There are many other London 'Hot Spot's' that are within an ear shot for example Oxford Street, Leicester Square, Hyde Park and The West End. The Mandeville Hotel was built towards the end of the 19th century, and in May 2005 reopened following a multi million pound refurbishment. It will come as no surprise based on The Mandeville's high profile location that this hotel oozes style, and this is apparent in every aspect of the hotel including the lift. The main lobby/foyer is one of the best examples to give, which combines high impact modern decor with more traditional English touches such as a crystal chandelier. London is without doubt an amazing city, there is always something to see and do so trust us when we say you will need your precious beauty sleep! The bedrooms at The Mandeville hotel as we can personally testify provide the perfect environment for you to relax and unwind.. so there will be no need to be counting sheep! The hotel has a total of 142 bedrooms, each bedroom is equipped with all the modern necessities required for a perfect night sleep alongside some additional luxurious add ons! A typical room will have a safe for your belongings, 24 hour room service, complimentary newspaper, telephone, air conditioning/ heating, flat screen TV, marble en-suite private bathroom with a power shower and complementary towels, bath robes, slippers and mini accessories (shower gel, shower cap). The bedrooms are immaculately presented and clean, and I for one could not wait to snuggle up in my fresh, crisp sheets and dream away. The bedroom decor does not shy away from blending patterns, colours and periods which results in a chic stylish retreat. It is not uncommon to find for example a dark wooden table with mirrored panels beside a white leathered headboard. Each bedroom has been furnished with luxurious fabrics and wall coverings with tasteful style. The Mandeville hotel offers the following bedroom styles singles, superior/double twins, deluxe, junior deluxe, one bedroom suite and the terrace suite. The Mandeville's homegrown talent is The Deville restaurant; much like the rest of the hotel this restaurant is very stylish with its very own designated designer Stephen Ryan. The Deville has a relaxed atmosphere to it, which makes the experience enjoyable and we would say has a Venetian/Phantom of the Opera themed twist to it. The Deville offers guests organic produce from local suppliers, and has a seasonal menu. The quality of this restaurant is ratified by The Deville recently being awarded an AA Rosette for Culinary Excellence, so trust us and indulge.. you are in very capable hands! For those guests who perhaps do not fancy a sit down meal, but rather a few drinks to toast to the weekend or a successful day The Mandeville deVigne Bar might just have the answer. 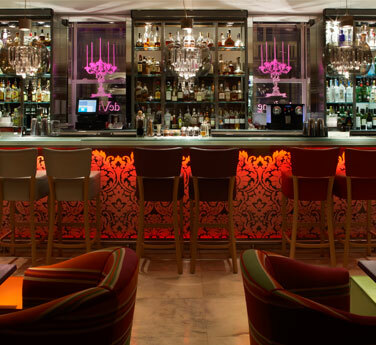 The bar as to be expected has an impressive visual impact and offers a vast array of cocktails, the signature cocktail is called The 'Honeysuckle' cocktail. This cocktail combines honey vodka (yum! ), rose petal liquor, elderflower, fresh raspberries and champagne. Although we did not get to try The Honeysuckle on this visit, we will be heading back very soon to Indulge! Breakfast at the Mandeville is a choice of either a buffet continental or a full English breakfast. The continental breakfast was beautifully presented with a seeming never ending selection of freshly made delicate pastries (this were simply scrumptious! ), array of fruits, yoghurts, cheeses, meats and toast (white or brown bread available). The drink selection was just as impressive with many fruit juices available including apple, orange, pineapple and grapefruit alongside teas and coffees. The Deville restaurant were breakfast is held although not vast, maintains an air of privacy and unlike some other London hotels we did not feel subconsciously like we should rush our food but simply stay and enjoy our time there. I must also mention that throughout our experience the service was exceptional, with constant top ups and pleasant comments which resulted in a perfect combination of great food, great atmosphere and great service! For those of you who follow our twitter and blog you will know that Chelsie and I are BIG fans of Afternoon Tea. The Mandeville Hotel offers its very own Afternoon tea with a designer seal of approval. 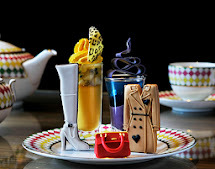 The famous English designer Zandra Rhodes has personally designed a whole afternoon tea; a must for any fashion fanatics! Kate and I both feel that The Mandeville really offers the complete package to its guests. The unique combination of an outstanding location, sassy style, and great dinning offers are all to the hotels credit. However another reason to consider the Mandeville above other hotels is the exceptional staff. Throughout our stay a warm home from home feel was constantly maintained. This initially begun with a welcome pack to the hotel, and a welcome note to us personally and this continued from the usher who got our cases, to the waiters at breakfast. 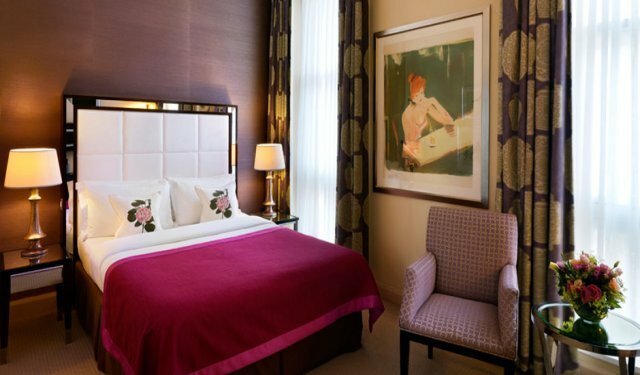 We would heartily recommend this hotel for a weekend away in London with friends, as a couple or even as a place to recuperate before a work meeting the following morning. I honestly believe there is a skill to writing articles that only very few posses and yes you got. It was simply checking out this blog and I really admire the premise of the article and this is really informative. I am glad to saw your blog and I really appreciated what you did. 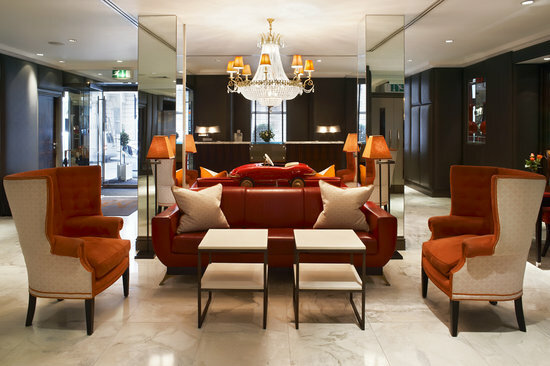 It was an exactly I am looking for and these Mandeville Hotel in London was very luxurious and the style was unique. Hopefully I will visit this hotel and I will also refer this to my friend. Thank you. While you are traveling to London or Paris, you can find the best Hotels in at Hostel Connections. We offer Hotels by Country so you can easily book a suitable hotel near for you. 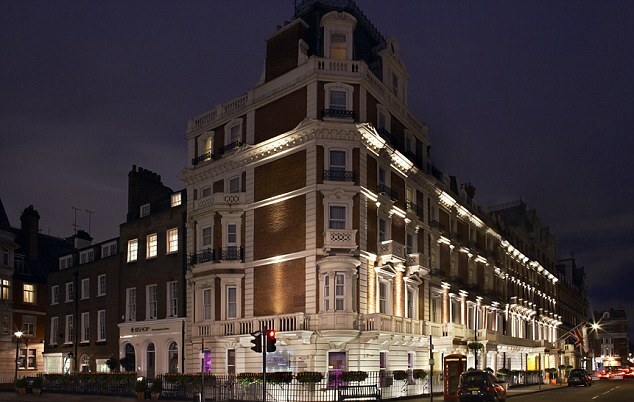 Thanks for sharing the post related to london hotels. I've found very useful information in this post.